RECOVERY – WHAT’S THE SECRET? Now we are talking. The most crucial aspect of anyone participating in endurance sport is without a doubt recovery. Just yesterday I noticed a post on social media which stated that running more than 40km a week will shorten your life and its been medically shown that ultra distance training damages our long term health. I actually agree with that 100%. However the research conducted over the years is in my mind biased. My reasoning for this is the research looked at how endurance sport impacts the physiology of the body negatively over time. They did not take into account the many other factors of nutrition, sleep, periodization, aerobic versus anaerobic percentages and other tricks to help the body get stronger over time and not weaker. Let’s face it of all the athletes you know how many train excessively, work hard at their careers, sacrifice sleep, eat badly and only focus from one session to the next and no further? I would say most people. This is the typical group of athletes that formed part of that research. It’s a fact that endurance sport breaks the body down, no doubt at all. The question is can you build it up and make it stronger, or just keep on training until you completely succumb to illness, injury or both. There is such an engrained culture of over reaching in endurance sport its quite frightening. We need to change this, we need to show longevity through endurance sport by properly looking after the body and not just throwing it into one race after the next without much care for anything but a personal best or a finish line even if you are not ready for it. So my question to you is do you do an endurance sport? What focus do you give to recovery? or are you going to be just another statistic of I did an Ironman or Comrades but now I have right ventricular dilation or broken knees and cannot train any more? So you have a medal hanger but do you have proper health? You need to be completely honest with yourself. 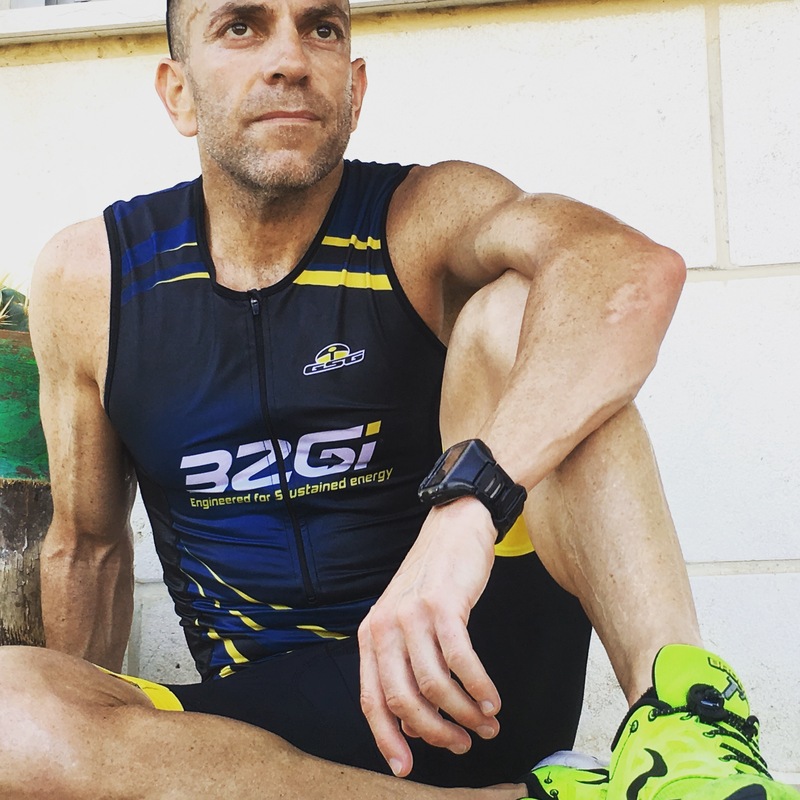 Personally its most of my focus, I think about every single aspect of an endurance lifestyle from nutrition to sleep, proper periodization and for those that know me well daily heart rate readings, variability and sleep monitoring as well as regular blood works so that I can keep on top of everything happening inside my body from a health and performance perspective. Yes I know I am a freak but my health is most important and if I can keep completely in tune with what is going on with the body then the risks are reduced. We know that training breaks us down but proper rest and recovery is what makes us stronger. Notice I mentioned rest and recovery separately because rest is not recovery. Recovery has a fair amount of work to include in it and that is what I want to focus on in this blog. You might think you are getting away with it now and that you will not be another statistic like the many others that have been. However inside we know that is not true, endurance sport places the body under immense stress so repairing it properly and fortifying it should be at the top of your priority list. I am not going to go into this in too much detail but I will state that there is no guess work when it comes to a proper structured training program to get you to a specific goal. Over training and over racing has become so engrained in the endurance communities of today. It’s crazy to think but most amateur athletes who work full time jobs and have families tend to train and race more than professional athletes. Be smart about your training, watch the percentage of quality to volume and ensure the body has sufficient time between sessions to recover properly without overloading it to the extent that it will lead to fatigue or injury. Most coaches will agree that when an athlete is over-reaching they are generally quiet about it or just ignore it, eventually leading to injury or illness. Why? Because the mind of an athlete is so stubborn. If you are training on your own and do not have the expertise to structure a proper program based on your goals then the best advice I can give is to find a coach that is suited to your needs. If you do have a coach then the most crucial thing you can do is give honest and frequent feedback to ensure that he or she is able to guide you properly. Nutrition is my number one for any endurance athlete. I will use the usual analogy I usually do of comparing an athlete to a vehicle. When you decide to participate in any endurance event you are basically turning your body into a high performance vehicle. Whether you like it or not you are placing your body under stress. Imagine owning a Lamborghini and sticking in diesel fuel and bad grade oil. I bet you there is no way if you owned a car of that nature you would shove in mediocre fuel. The same as a jet engine it only runs properly on a specific grade of jet fuel. This is where most athletes fall short. They fuel themselves with lower grade fuels most of the time. Causing havoc and blockages with their own engines and now they are wanting to place those engines under even more stress. It’s a great recipe for disaster. With endurance training you need to have in mind what stress you are going to be placing on the system and for how long. Meaning time and intensity (usually a measure of heart rate over time) . Then you need to decide how you are going to fuel yourself for the session, during the session and after the session. Each and every aspect of your nutrition calendar needs to be laid out in respect of the training. Its not just about selecting your favourite bib shorts or running vests while packing your bag the night before. Its about properly preparing each meal around each workout and through the day to ensure proper recovery from session to session. This means a lot of focus needs to be placed on what is being eaten between session as that will determine break down or build up over time. Not meeting the body’s requirements will only lead to a short fall. If you are not sure what, how or when to eat then its quite simple you need to get guidance from an expert that does. Sleep is without a doubt crucial. Its the time when the body needs to recover. Very often athletes underestimate the importance of sleep and the critical role it plays in sports performance. Most athletes sacrifice sleep due to early morning training and late nights. Sleep is the time where the body repairs and restores. Its a well know fact that “sleep deprivation leads to depression, high blood pressure, weight gain, heart disease, and probably mortality,” says Dr. Steven Feinsilver, the director of the Center for Sleep Medicine at Mt. Sinai School of Medicine in New York City. Additionally, a 2012 study detailed how sleep deprivation increases a person’s risk of developing Type 2 diabetes. Earlier studies have shown that reaction time nearly triples when a person pulls an all-nighter. Normally about a quarter of a second, it increases to 800 to 900 milliseconds. It’s about the same as the difference between being sober and being legally drunk. For elite athletes, emergency room doctors, and cab drivers, among others, losing that half of a second is costly never mind minutes over many hours due to the inability to focus due to poor cognitive function and physical fatigue. Sleep is crucial for immunity and by placing the body under stress with physical exercise and lack of sleep is stretching the elastic bands at both ends, it will give way eventually. If night sleep is still limited then try adding some power naps during the day. It’s been shown that taking in a large amount of caffeine before power nap is best as consuming caffeine will eventually pass into the small intestine and get absorbed into the blood stream. It then begins a chemical reaction in the brain which blocks the receptors which are filled with Adenosine (energy transferring molecules) which actually cause drowsiness. Adenosine will make you feel very sleepy and by consuming caffeine the opposite happens when it binds to the receptors. This will trigger an effect of alertness and focus. Many people that have a power nap feel lethargic afterwards but the 20 minute coffee nap as we call it will allow you to rest for a nominal time with a feeling of energy after. There are ways through natural supplements to aid recovery and immunity. I use the term enablers as they can play a positive role in assisting with fortification of the body. There are no quick fixes here but some of these can be used as add ons to an already health nutrition regime. One of the key minerals utilized in thousands of chemical processes in the body, one of which is the production of ATP. It also acts as a sleep enabler by calming the nervous system. Best used would be just before sleep at night to try to aid a better nights sleep to assist with recovery and to help build those magnesium stores. Not all magnesium’s are created equal and one must bare in mind that its easily destroyed by stomach acid. In this case I would say an absolute no to effervescent’s and look for a powerful elemental magnesium which is buffered to break down much lower down in the bowels where there is a lower acid environment. D3 is the precursor to calcium absorption they work hand in hand. Take the two together especially if you are prone to injuries such as stress fractures or anything else of a bone nature. Running is a high impact sport and I would advise anyone to take calcium during high volume training especially women. Omega-3 fatty acids are very key in that they provide anti -inflammatory as well as immune modulatory properties. They have been shown to reduce DOMS (Muscle Soreness), improve oxygen and nutrient delivery as well as of course reducing inflammation in the body. Gut bacteria is very crucial to proper nutrient absorption as well as immunity strength. Its one of the most neglected areas in athletes. I would recommend eating raw fermented foods to try to stabilise and strengthen the gut bacteria but if you are not able to your next best bet would be to get a decent refrigerated probiotic. Protein is the key enabler to muscle protein synthesis and in order for this to really work well it would be needed to take in a protein that has a leucine (amino acid) amount of around 2.5-3grams to trigger it. If the protein you do consume in the form of a shake or meal does not contain this you can add BCAA’s to the meal or shake in order to gain the required amount. BCAA’s consist of 3 amino acids Leucine, Isoleucine and Valine. The only scientifically proven ratio to date is the 2:1:1 ratio, there are many other higher ratios but research has not shown any proven benefit over the 2:1:1. BCAA’s should be taken with a complete protein. A critical vitamin one of the primary ones used for processing carbohydrates which in most athletes is a major fuel tank. However B12 is also responsible for brain and mood function, energy, the central nervous system as well as a co-processor with folate (Vit B9) to produce more red blood cells and keeping haemoglobin and iron levels topped up. Vitamins B12 and B9 also work together with Vitamin B6 to control homocysteine level. High homocysteine levels are associated with heart disease. Its best to check your B levels are correct through proper bloods and consult with a medical professional to determine a course of action should they be low. There are quite a few more enablers which I have not mentioned, however the above are quite crucial in providing some support. I would recommend before taking in any vitamin to check exactly what the levels are in the blood and from there make a decision with the guidance of a professional what to take and when. In conclusion this blog was mainly written out of frustration and the care I have for my fellow human beings. Exercise is good in moderation, but endurance sport is absolutely not moderation. I know because I am by personality an extremist ;-). There are two paths you can take along your personal endurance journey and destination to the finish line. You can destroy yourself over time, or you can get stronger and participate in endurance sports until a very ripe old age. There is no emotion needed when injured or ill, a race is just a race and it will be there every single year. The human body can handle so much and if you respect it, get in tune with it and listen to it, you will grow in leaps and bounds from a health and a performance perspective. ULTRA PITFALLS – WHAT COULD HAVE GONE WRONG AT YOUR COMRADES MARATHON? This is very informative thank you. I enjoy endurance sports and believe with the correct guidance on training & nutrition I can perform at my greatest and achieve so much more. I’ve had a baby 11 weeks ago now and I’ll be running my Comrades qualifying marathon in February. Would you be able to assist me?